For one of my recent projects, I needed to automatically fetch oscilloscope samples to PC for automatic analysis. 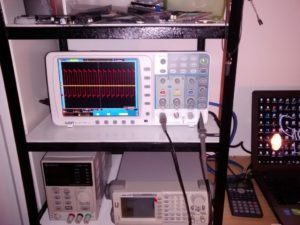 I own the Owon SDS7102V oscilloscope so the first step was to find how to get data from it. The oscilloscope supports USB and ethernet connectivity (non-V versions probably also RS232, but mine has VGA connector instead). Also in the SCPI manual, there are no commands for reading / downloading data and no commands for triggering. There is another command manual which outlines the Owon proprietary commands for fetching data and the return data format. Owon proprietary commands for setting up the oscilloscope don’t seem to be documented, but the source code of the two applications I will mention later is pretty self-explanatory. Next to the official Owon PC application, there are at least two published applications for controlling Owon oscilloscope. owon-dump can be used to fetch data and parse it. 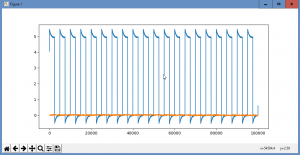 owoncontrol is used to send commands to the oscilloscope and to change the parameters. Both are open source and seem to be more oriented towards the linux society, with no binary files available, also both are using the USB interface. I decided it was simpler for me to translate the owon-dump to python and change the interface to TCP than to try to port the programs and compile them under windows. The “dump” commands (STARTBMP, STARTBIN, STARTMEMDEPTH) are pretty simple and I had them running quickly. The only thing that can go wrong here is setting the delays/timeouts for the data reception (the scope does take its time when you request a data snapshot). 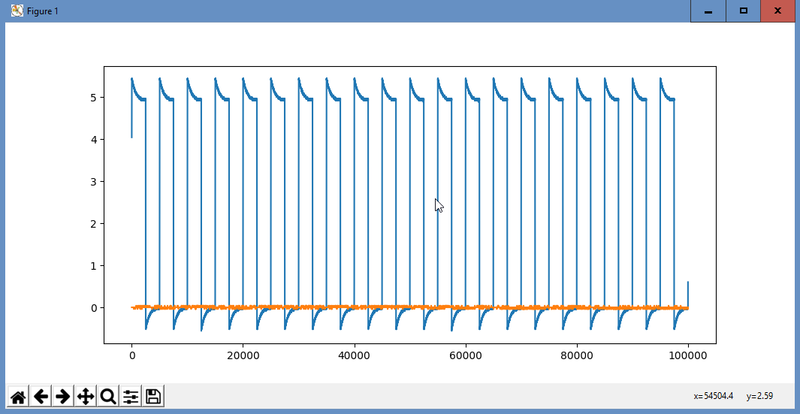 The next step was to decode the BIN file and produce some processable data. This involved translating owon-parse to python which took a bit more effort, mainly because of data casting (hint: see struct.unpack). That’s just how bad an uncompensated probe looks on the square calibration signal 😉 If you look carefully you will notice it’s the same signals as in the first image on the scope.